While paying on line using the following form, you profit from a price reduction , and you get the insurance, in case of high presence rate, to be able to take part in our event. The reservation of your tickets with the form below is strongly advised, because, considering the high rate of requests, we cannot guarantee you that we will be able to manage a common sale of ticket at the entrance of fair. Each participation gives the right to tastings of all wines and 8 beers present and also to the event glass. The price does not include your expenses of restoration. If you obtained from us a promotional code, do not forget to introduce it before validating your page. 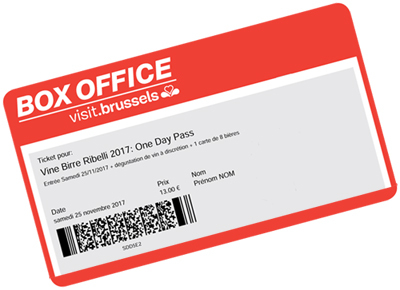 The tickets are available on line on Box Office.